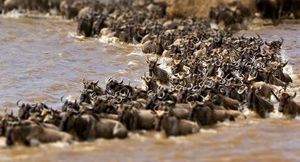 Travel to Kenya for the greatest natural show on earth: the Masai Mara wildebeest migration. With a million animals on the move, it is a sight never forgotten; it’s also a great opportunity to watch Africa’s top predators – big cats, wild dogs and crocodiles – in action. 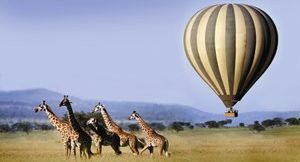 You’ll stay at tented camps and thatched safari lodges, enjoying game drives and guided walks as well as hot air balloon safaris and visits to local communities. It’s the quintessential safari experience. Kenya is, after all, where safari travel began. Blessed with abundant wildlife, the country is home to parks and reserves of dazzling diversity. Away from the rolling grasslands of the Masai Mara, Kenya is a land of soaring mountains, flamingo-covered lakes and lush forests. There’s Big 5 game viewing, palm-fringed Indian Ocean beaches and hideaway tropical islands, making Kenya the perfect safari and beach destination. Visitors to Kenya can join scheduled and guided overland tours or choose a fly-in itinerary to save on time. Many Kenya travel itineraries mix overland and air travel. You’ll have a huge range of tours and accommodation to choose from: family-friendly, honeymoon, super-luxury or value-for-money. You’ll also enjoy the advantage of a smooth-running and experienced safari industry. Kenya’s wildlife destinations are safe, and Nairobi accommodation lies in quiet suburbs away from the main city. The standard of guiding and service is high and you’ll sit down to great cuisine in locations ranging from elegant dining rooms to lantern-lit woodlands. Hotels and lodges have facilities like swimming pools and health spas; many specialise in family-oriented safaris and beach holidays. Others are honeymoon favourites. 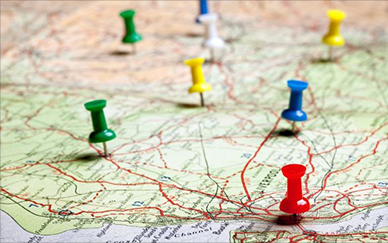 Kenya combines easily with other travel destinations too. Next-door Tanzania is home to the Serengeti, where the wildebeest herds roam when they are not in the Masai Mara. 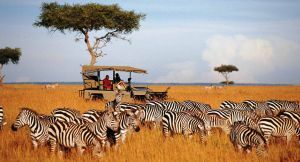 It’s simple to experience both destinations on the same itinerary and Tanzania also offers Big 5 viewing at the Ngorongoro Crater as well as chimp trekking in its rainforests. Gorilla trekking add-ons are the speciality of Uganda and Rwanda and are easily combined with Kenya via Nairobi. The Masai Mara – most famous for its spectacular wildebeest migration, Kenya’s flagship reserve delivers amazing game viewing all year round. Nairobi – Kenya’s capital & transport hub is home to a national park, elephant orphanage & giraffe centre: your safari starts here! Amboseli – catch the best views of Mt Kilimanjaro from this famous park, home to great game viewing & set close to Nairobi. 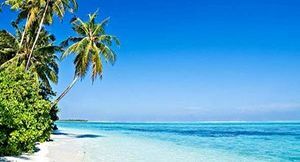 Kenya Beaches – combine your safari with a beach holiday & choose from family resorts, honeymoon suites & clean-lined private villas. Samburu – Explore Kenya’s wild north by 4X4, mountain bike, on foot & camel-back & enjoy great game viewing & birding. Laikipia Plateau – home to private reserves, honeymoon hideaways & family-friendly lodges, Laikipia delivers an exclusive safari experience. Central Highlands – a region of stunning mountain landscapes & flamingo-carpeted lakes, there’s unique game viewing in the forests of the Aberdares too. Kenya’s legendary Masai Mara greets the arrival of the herds with crocodile-infested rivers, big cats, hyena packs & wild dogs – it’s nature at her most dramatic. Watching the sun rise over the African savannah is a sight never forgotten; enjoy it from 1000 feet up & come down for a champagne breakfast. A must-do in migration season! 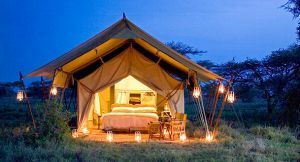 Looking for a candle-lit tented camp set under flat-topped acacias? Kenya is where it all began – luxurious, old-world accommodation with private butlers, afternoon tea & silver service. Home to dazzling beaches packed with activities & offering superb diving, Kenya is perfect for a safari & beach holiday. Choose between family resorts, romantic lodges & exclusive islands. 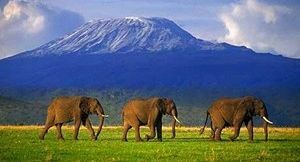 Africa’s iconic peak stands in Tanzania but the best views are enjoyed from Kenya’s Amboseli Park. You’ll sit back to good game viewing too. 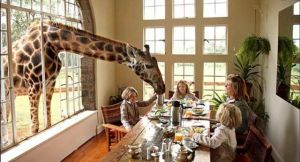 Kenya travel usually needs a night in Nairobi: super-size your stay-over at the city’s Giraffe Manor & enjoy one of the world’s most unique dining experiences. 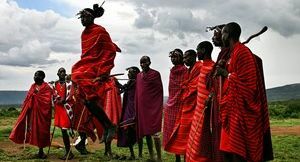 The red-robed Maasai people are synonymous with Kenya’s savannahs & many lodges offer guided visits to local communities. You’ll learn how to track game, make fire & even perform the famous ‘jumping dance’. 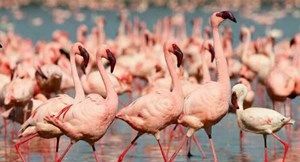 Kenya’s central highlands are home to flamingo-covered lakes, the Aberdares forest & Mt Kenya; further north are family-friendly Meru Park & the wild Samburu Reserve – home to big cats & desert animals. Get in touch and we’ll create the African Safari of a lifetime for you.